KIP JONES, an American by birth, has been studying and working in the UK for more than 19 years. public or a Perfomative Social Science. RUFUS STONE, funded by Research Councils UK. Establishing shot with late 1950’s contemporary ranch house with a swimming pool behind it, set in a countryside-turning-suburban America. It is a pitch-black night; flashes of lightening in the distant sky. We see the scene in monochrome except for a green swimming pool, lit by underwater lighting, glowing in the darkness. The kidney shaped pool looks like a huge green footprint on the night landscape. We hear sappy romantic 1950’s pop music coming from a large pool side speaker. (”Chances Are” by Johnny Mathis is suggested.) Music throughout the story emanates from stereos, radios, a DJ's turntable or a jukebox. All songs are indicative of characters and are integral to the plot and the specific time period of the story and suggested tracks shouldn't be considered as background or 'film music'. They are part of the story. KYLE emerges from beneath the pool’s surface in a cascade of rushing water. KYLE somersaults over on his hands and begins to do ‘pirouettes’ upside down in the pool, imitating what he has seen in Esther Williams’ films. As the music builds and Kyle’s movements become more agitated but still balletic. CUT TO: KYLE’S MOTHER, 1950’S UPPER MIDDLE-CLASS HOUSEWIFE (“BETTY DRAPER” TYPE)IS SEEN THROUGH EXTERIOR WINDOW OF THE HOUSE. SHE IS PEERING AT KYLE THROUGH THE KITCHEN WINDOW. We can see inside the kitchen’s interior, a range of muted 1950s colors, behind her. MOTHER stops worrying about that right now, and instead continues to worry about Kyle being in the water with the coming electrical storm. She is a worrier. MOTHER looks up at the lightning through the window then covers her face with her hands in fright. She is afraid for Kyle, on so many levels. KYLE is now floating silently on his back, arms stretch outward, palms upward, not moving, but watching the sky erupt. Agitated birds flapping to a chorus of crickets in the background. The sky is black. Suddenly thunder, then a lightning bolt hits the ground in the distance behind the pool. It immediately begins to pour sheets of rain. KYLE climbs the ladder, exiting the pool like a Bruce Webber photoshoot slowly. We examine his body gradually, voyeuristically, from his head to his feet, as he ascends the pool ladder rung by rung. His physical beauty and his youth are breath-taking. He turns away from our view upon reaching the top of the ladder. The heavy rain then blocks our view. The pool in the background looks like a drop of green ink on wet paper. We are mesmerized by the scene and by Kyle’s beauty. Our attention is held for a minute or so. "Copacetica" is the working title of a script currently in early stages of development for a feature-length film. Set in the 1960s, Copacetica's themes include being different, the celebration of being an outsider, seeing oneself from outside of the “norm”, and the interior conflicts of “coming out” within a continuum as a (gay) male in a straight world. These observations are set within the flux and instability of a period of great social change. Through the device of the fleeting moment, the story interrogates the certainties and uncertainties of the “norms” of modernity. Kip Jones made London School of Economics' list of favourite academic tweeters. Jones is also listed among JISC's 50 most influential UK higher education professionals on social media. Kip’s blog, ‘KIPWORLD’, covers a wide range of topics from advice on writing a PhD thesis to insight into his creative process. He regularly uses his blog, Facebook and Twitter to share his research (with) others. Kip also contributes to the LSE Impact blog, LSE Review of Books, Discover Society, Sociological Imagination, Creative Quarter, The Creativity Post and the Bournemouth University Research Blog. 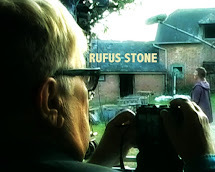 RUFUS STONE "Making of ..." & Trailer from Kip Jones on Vimeo. Rufus Stone singled out as 'inspirational in the Bournemouth University Annual Review. La nostalgie est le voile que nous drapons sur les souvenirs de notre passé. Kip Jones was a member of the panel at the LSE Review of Books hosted event as part of the 5th LSE Space for Thought Literary Festival, entitled, "Beyond the Book: new forms of academic communication". Kip spoke on “Performative Social Science: What it is and how it started” then joined the panel for a lively Q&A session. A podcast of the event is now available. Podcast: "Performative Social Science: What it is/What it isn't"
"Beyond the Text: An Artaudian take on the non-verbal clues revealed within the biographical interpretive process"
The Spiritual Dimension: a gerotranscendental take on Akira Kurosawa's film, "Ran"
"The Art of Collaborative Storytelling: arts-based representations of narrative contexts"
"How did I get to Princess Margaret and How Did I Get Her to the World Wide Web"